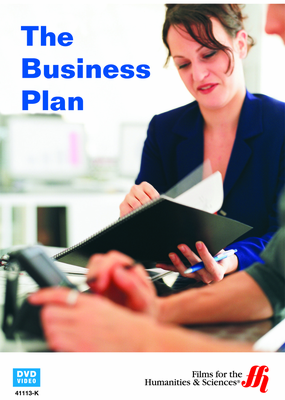 Learn the importance of having a business plan for every small business and how to create a business plan. In order to succeed, every small business needs to have a well thought out, well documented, and comprehensive business plan. The business plan is important no matter the size of the business. Even a sole proprietor needs a business plan. This video explains how to create each component necessary to include in the business plan. As examples, this video compares two small businesses. One is a performance artist and the other is a physical therapist. Even though what they do is very different, both of them need to have a business plan. A business plan helps the business owner to set goals that are achievable by having three types of goals. They are short, medium, and long-term goals. For goals to work in helping the business succeed, the results of efforts need tracking and measurement against projections. Daily operations need organization and structure. If there is more than one person involved in the business, this creates the need for an organizational structure, which then supports the operational plan. The marketing plan includes the implementation of a marketing strategy. Businesses also benefit by performing a SWOT analysis that examines a business for strengths, weaknesses, opportunities, and threats in comparison to the competition. The financial plan shows the money needed for the business, includes accounting information, and estimates for future results of operations. The video ends with advice for future business owners.